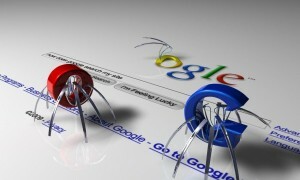 Why your Blog Posts are Not Crawling/Indexing by Google ? First of all Google does not provide any guarantees or promises that they will crawl or index your blog stuff. You must keep maintaining your blogs content to enter into Google’s boundaries. Google has a certain amount of resources to crawl, Index and Rank your sites. And it has to treat them differently according to the popularity and importance of the site. So let’s have a brief look at How Google does all these things. Google spiders will crawl your site when you post some thing in your site. it may not happen at the instant because it is based on a lot of factors. Google does not have any human workers for crawling sites, They are using a computer algorithm for this purpose. So it must consider the factors such as Page Rank, Back Links etc before crawling. Another thing you can do for faster crawling is with sitemaps. But Google will not crawl anything you put in your sitemap. Sitemap will just let the Google know about your site contents. Bonus tip: Put your sitemap link at the footer of your blog. This will ensure that Google bot will follow your sitemap. After your content get crawled it ‘may’ be indexed. Before indexing Google want to make sure that your content is worth it. Sometimes they are not, That may be because of several reasons. So make sure your content is unique ie not copied from any existing contents. How long does Google take for indexing ? It may varies, It depends on how your content interlinked, How often you update your site content. For new sites, It will take weeks or even months for indexing. How to get indexed faster ? For new blogs, It may take some time. So take a long breath and be patient. Google will rate your blog according to your updating frequency, backlinks etc. For older blogs, If you are still facing indexing problem, make sure you do not have internal or external duplication of contents. And do not rely on sitemaps. Because they are optional. Make sure the contents can be searched via normal links. Do let us know how long dies it take for Google bots to crawl and index your blog? Have you been facing indexing issue lately?